Hongkong Govt. 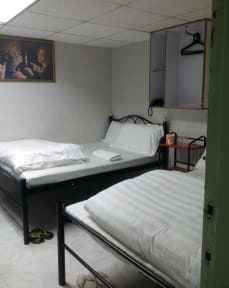 Licensed and budget hostel conveniently located in the most popular commercial place in Kowloon, nearby shopping malls, banks, currency exchange, bars, all kinds of restaurants and many more. The Guest House offers affordable rates, safety, relaxation & comfort. The Guest House ensures that all rooms are well maintained with standards in order to guarantee a high level of customer satisfaction. The public transport is extremely close to the property making it a very ideal location. Along with that our staff is dedicated to providing you with the best service possible and helping you out whenever and with whatever. 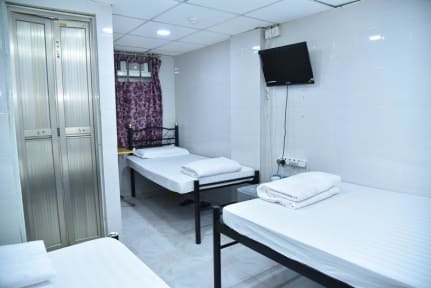 Note: There are many people at ground floor may cheat you for different hostel. Please follow address mentioned to get London Hostel. For more information, you may consult the security guard at ground floor.